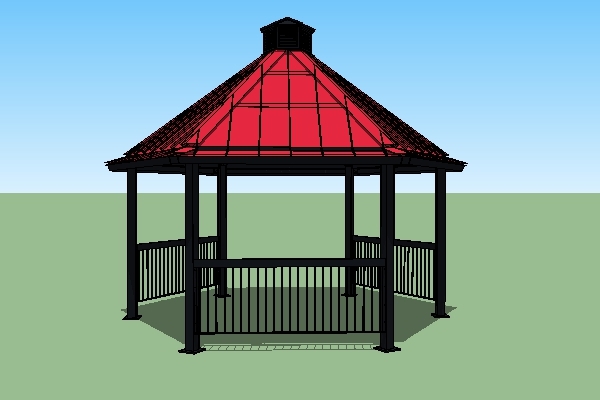 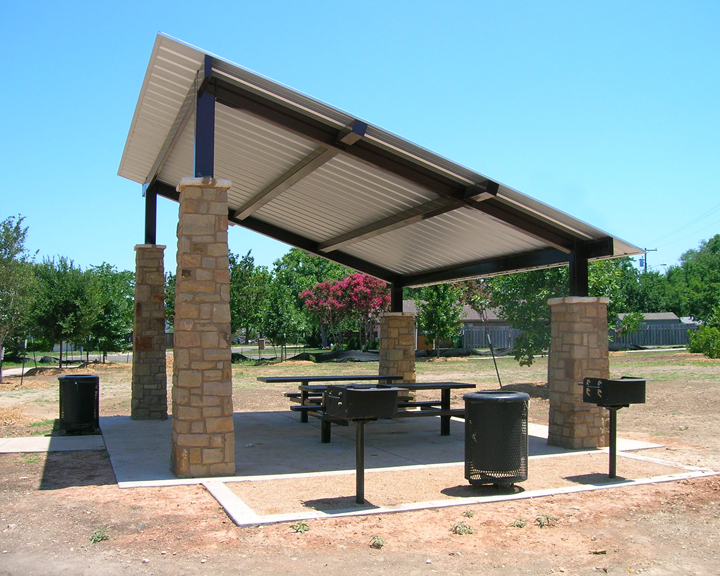 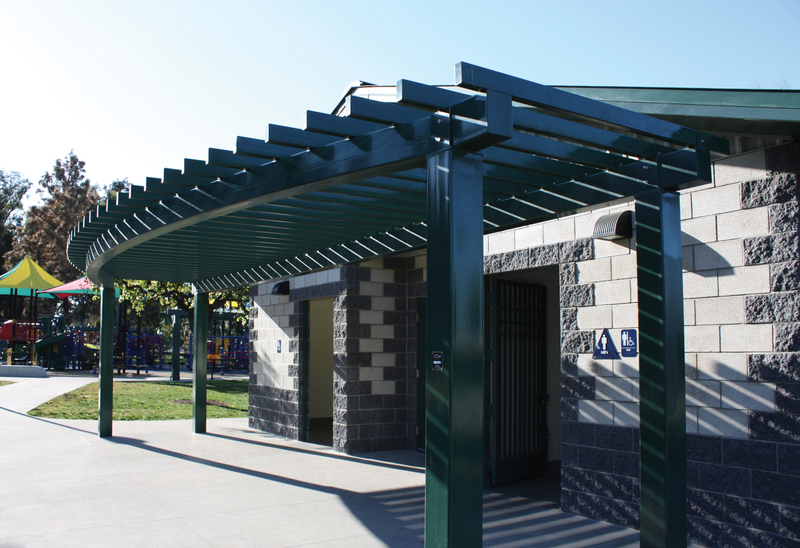 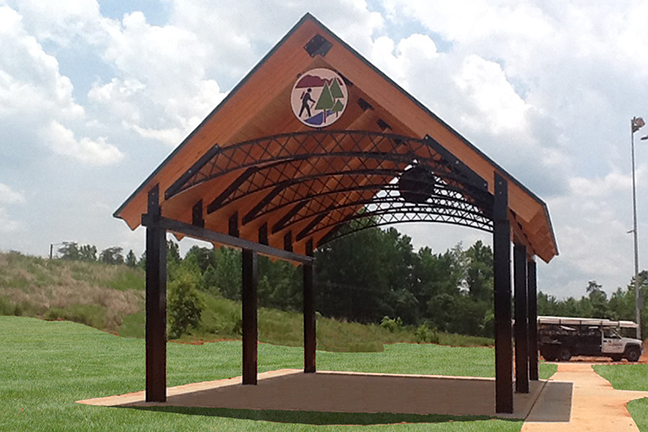 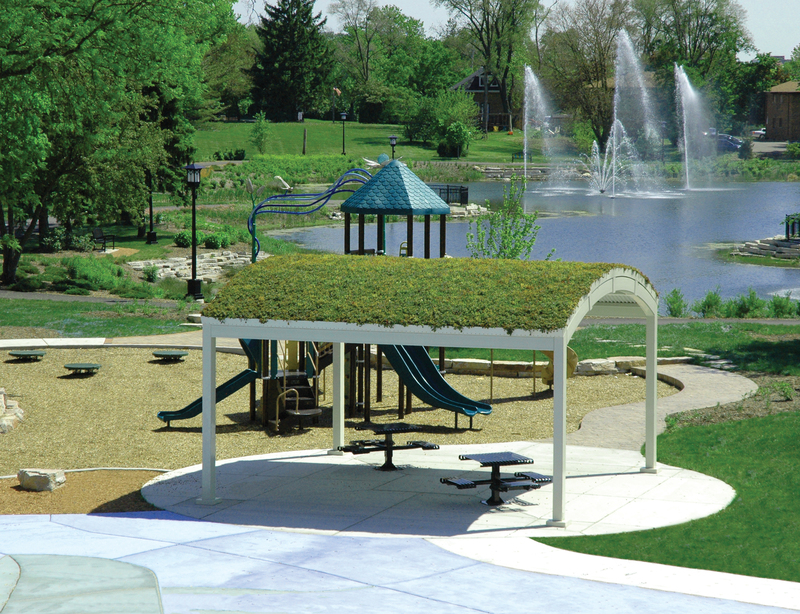 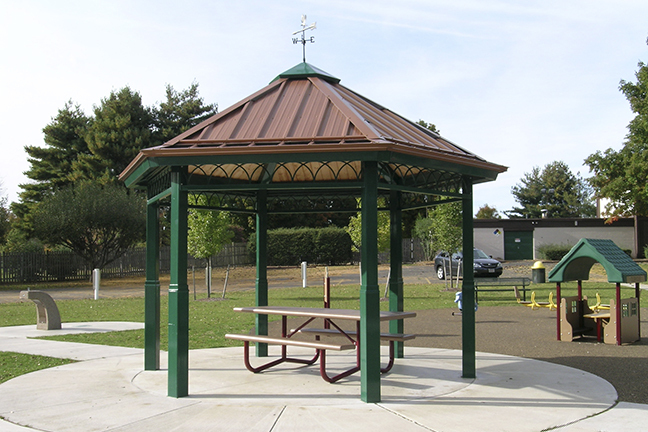 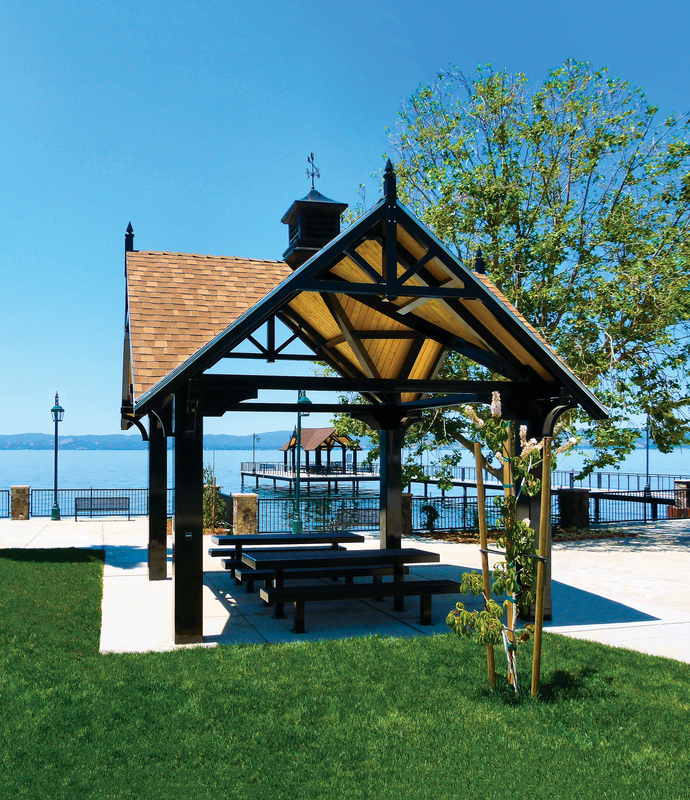 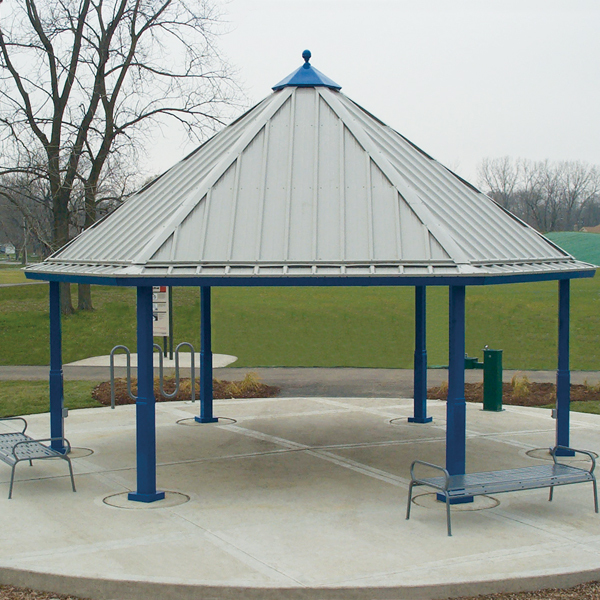 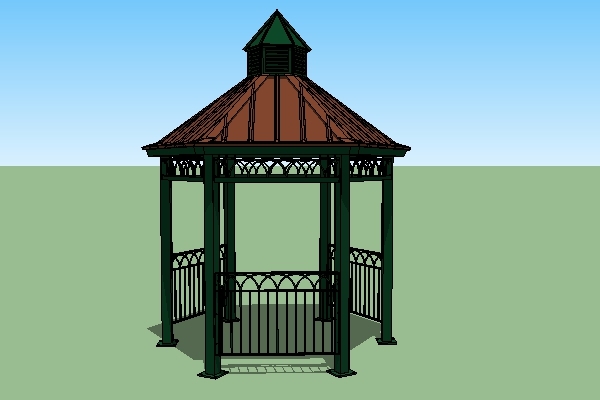 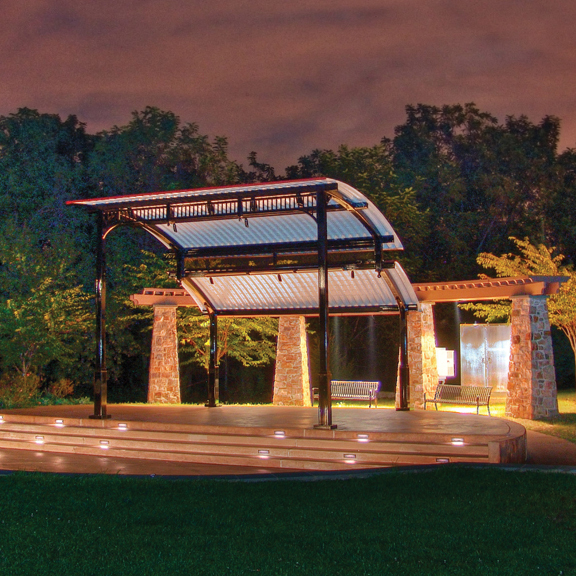 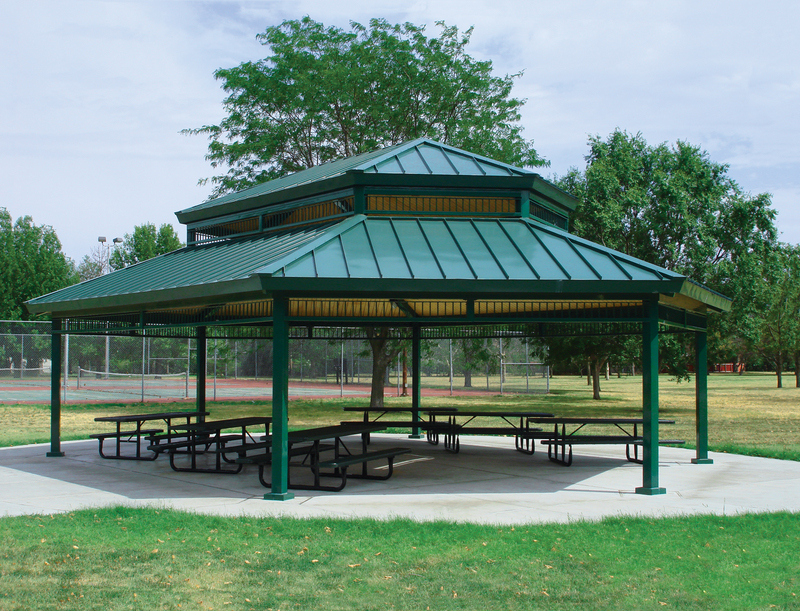 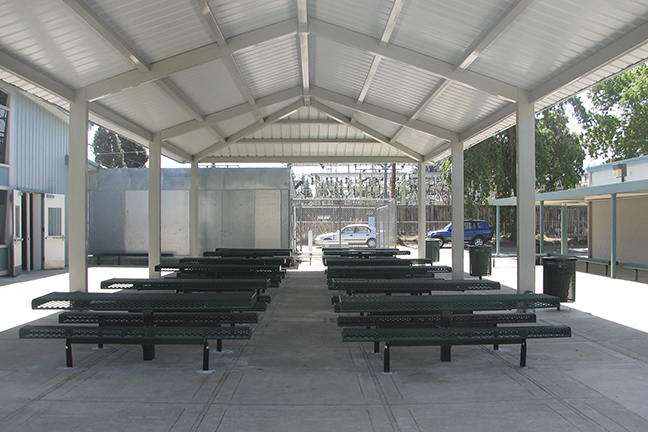 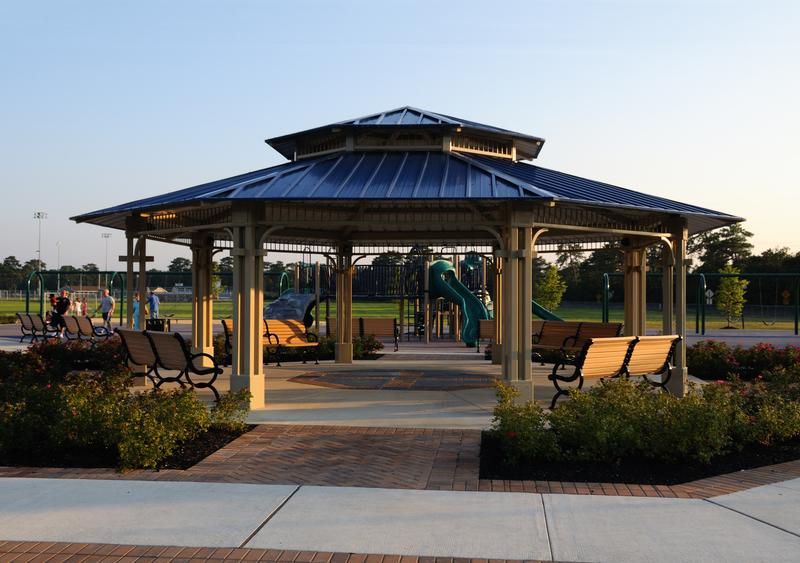 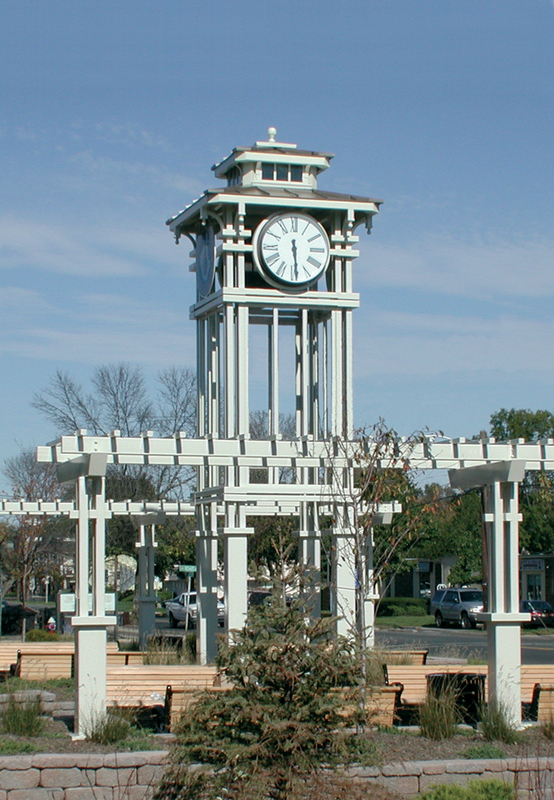 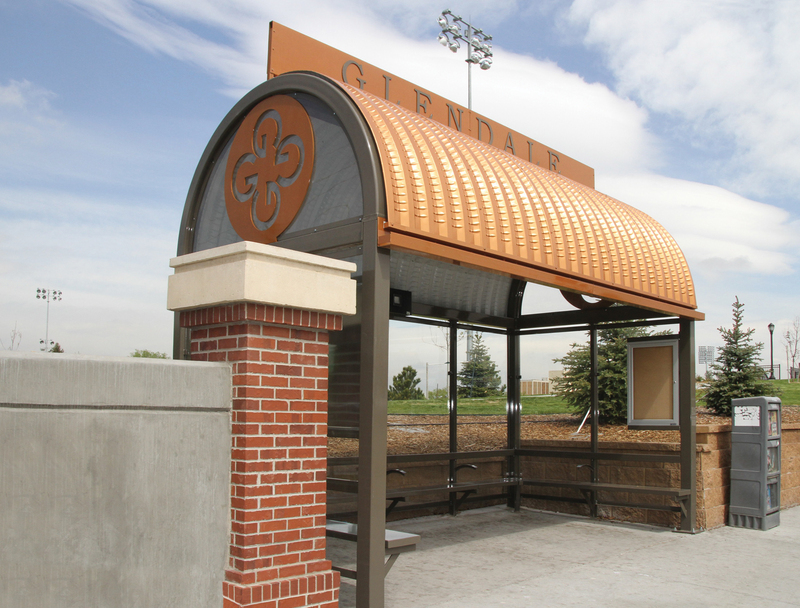 Mystic Series Hexagonal Gazebo with Standing Seam Roof Panels, Sheet Metal Cupola, and Linear Handrails (3 Sides). 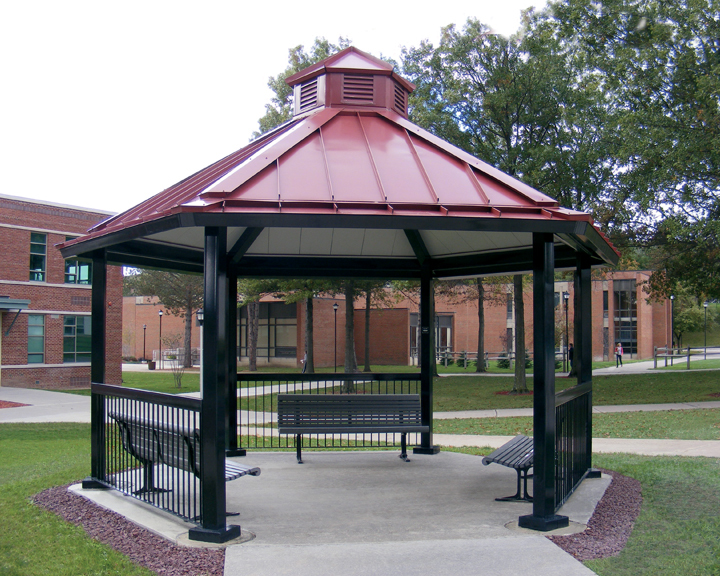 The standard roof pitch is 8:12 main pitch over 6:12 perimeter pitch on sizes up to 24’, with 6:12 main pitch over 4:12 perimeter pitch on sizes up from 25’ to 36’. 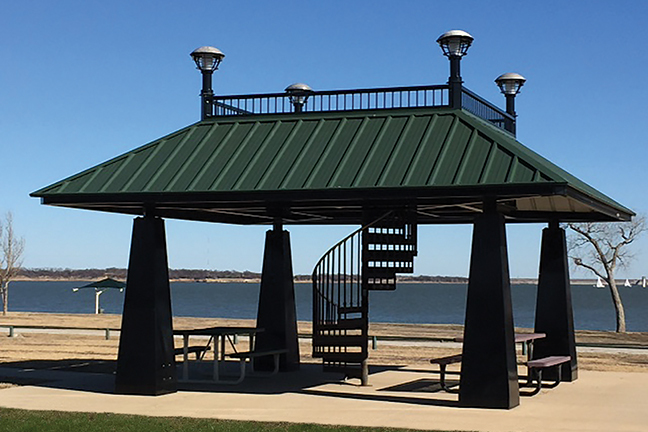 Roof deck: 24 ga. Steel Panel, 24 ga. Steel Standing Seam, 2x6 Tongue & Groove Roofing materials: 24 ga. Steel Panels, 24 ga. Steel Standing Seam, Asphalt Shingles or Cedar Shingles See options and accessories pages for available upgrades.